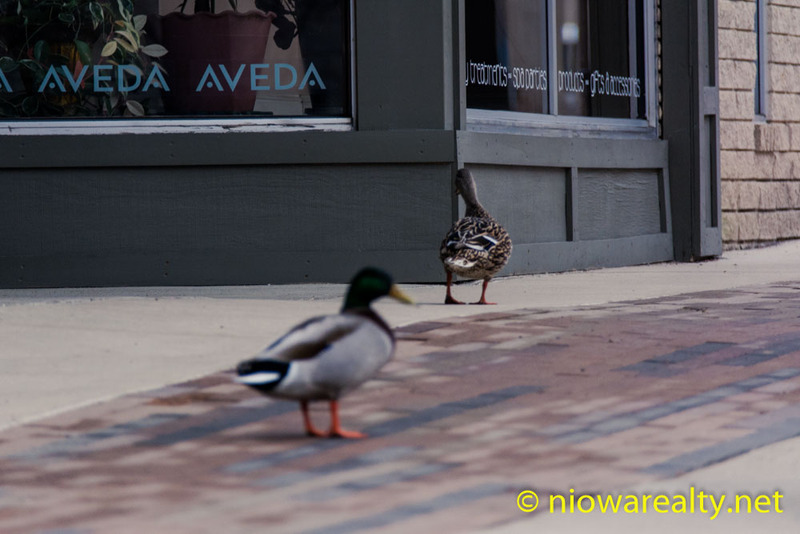 Share the post "All Quacked Up"
In spite of it being another exceptionally gray day today, one more of our office listing’s sold. I’m sure the buyers will be delighted with their new home after it closes because the sellers have taken exceptionally good care of it over their long years of ownership. It’s sort of one of those classic examples of the idea that if you take good care of your home over the years of ownership, it will take care of you in more ways than one—it provides a comfortable place to raise a family and acts as a long term investment that increases in value over the years. I just received a price reduction on my listing located at 313 – 9th St. NW here in Mason City and now that it’s down to $92,500, it’s even all the more competitive in today’s market. I must also say the owners have taken the most meticulous care of their home since they’ve owned it. The designer kitchen should tweak the interest of anyone who loves to cook and entertain at home. They just recently created a basement rec area as well as the installation of a new ½ bath. With our recent pre-Spring sales, it appears the older two story homes are back in vogue. They’re a perfect fit for couples with young children by providing a greater separation of the bedrooms and baths from main floor living areas. Parents don’t have to be so careful not to wake their children because they’re overhead. Some days ago I was in conversation with someone who interacts with the public on a daily basis. The subject came up again about the growing numbers of bearded men in our community. She said, “I’m not quite sure why it’s becoming such a fad now other than maybe they’re trying to emulate the popular television program “Duck Dynasty”. I’d heard of the program but never watched it simply because I usually don’t have time and just hearing bits and pieces of its content, I didn’t consider it of interest. Well clever me a few days ago was going to pay for something at a counter where there were two people at separate registers. One of them had long hair and a very full beard, while the other was clean shaven and smartly dressed. The bearded one was closest to me but I decided to go to the gentleman’s register. I peeked back at the bearded one and jokingly said, “I don’t allow men with beards to wait on me.” Oh mercy did he blush! Of course I didn’t let it go at that by saying, “I’m still confused as to whether our male population is regressing back to a more primitive time, or if they’re die hard fans of “Duck Dynasty”. He then replied, “Duck Dynasty is one of my favorite programs.” I then remarked, “Well at least I know what one of the driving forces are with all these hairy-faced men around town.” Of course I was getting laughs out of the gentleman who was waiting on me. I then said to him loud enough so the other one could hear, “I once grew a mustache when in my twenties. It came in dark red, I was teased about it for about six months, I shaved it off and then had to deal with wrinkled skin under my nose for months after.” Boy did I get a laugh out of that one. I said, “It’s true for most when shaving it off, but nobody ever warned me about it.” Just before I walked away from the counter I said to the clean shaven clerk, “Ask your associate if he gets all quaked up when watching “Duck Dynasty”. I do hope I wasn’t being overly hard on him as it was simply in jest. We all have to lighten up once in a while and have a little fun.